This quilt was a gift to my husband's cousin for her first grandbaby. 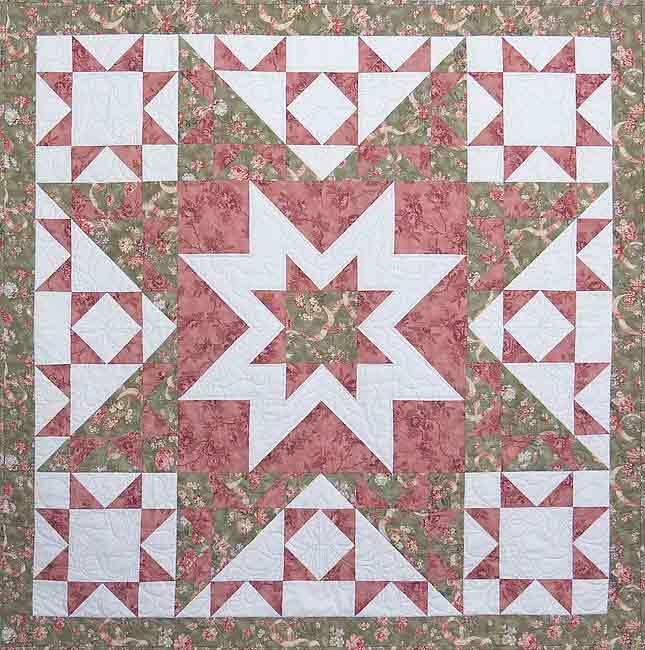 Machine pieced by Jerrianne in 2004. Machine quilted by Denise Green of HollyDee Quilts in 2005. Design by Sue Garman for Lakeview Quilters Guild 2004 Spring Retreat.